We all know that promised/theoretical Internet speeds are rarely ever what users get in real life. 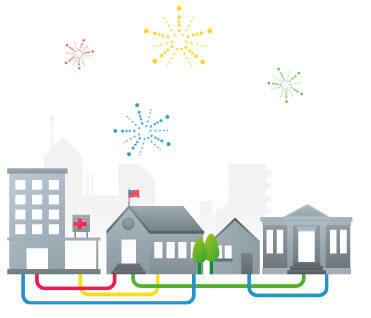 And so it goes with Google Fiber’s gigabit Internet service rolling out in Kansas City. But even critics will have to admit that the reality in this case is still pretty darn amazing. While that 1Gb threshold is elusive, the “techpreneur” reports that he saw consistent speeds of about 600–700 Mbps via ethernet. (Wi-Fi maxed out at about 200 Mbps.) That’s simply incredible compared to what most cable broadband subscribers live with. For example, a quick speed test on my own cable connection as I write this is 23.83 down, 4.24 up. Now that’s not bad, but it’s nowhere near what Demarais is getting while living at Homes for Hackers. Mike Demarais’ Tweeted this right after Google Fiber was activated in his Kansas City home. Before we go on, can we talk about Homes for Hackers for a sec? What an unbelievable place. It’s the passion project of Web developer Ben Barreth, who just wanted to help out local tech talent in their entrepreneurial initiatives by offering free housing, utilities and, yes, free Google Fiber for three months at a time. In fact, this good samaritan bought the Hanover Heights house specifically because of the gigabit ethernet launch, just to help people get their companies off the ground. Barreth’s also connecting startup founders with other area residents for free housing and Fiber goodness. But I digress. 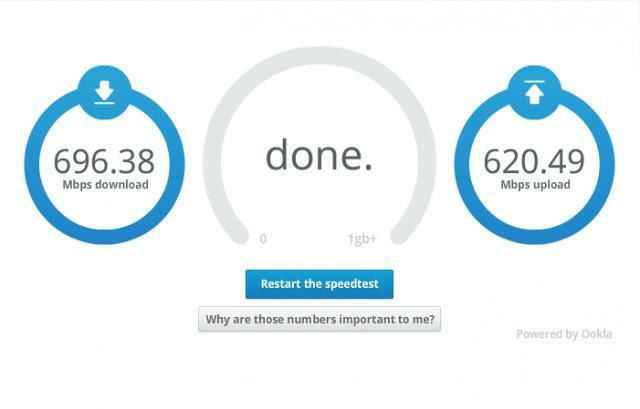 As far as Google Fiber’s concerned, it seems to be off to a great start. “The first thing I did was BitTorrent Ubuntu,” says Demarais. “I think that took two minutes…” With the future of technology pooling around Kansas City — or so hopes Ben Barreth — the new service already seems to be winning over some key fans. For more, check out the source link. And for more info about Homes for Hackers or to donate to the cause (c’mon, you know you want to), click here to go there.